Manual Run feature allows user to decide when to start the Task. While it allows to run the Tasks in which criteria of automated execution are not specified, in many cases user can choose to manually start otherwise automated Tasks. 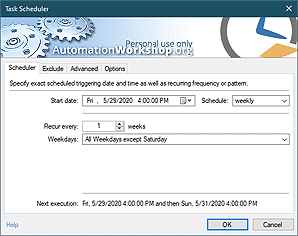 Normally, most Tasks in Automation Workshop Free Edition are started automatically when a Trigger detects a particular type of event in the system. Some Tasks, however, can require user to decide when to start them. Such Tasks may not even contain automation triggers and contain only sequence of Actions. Or, alternatively, user can choose to run otherwise automated Tasks manually. The only prerequisite in running automated Tasks manually is that the automation Trigger does not collect data crucial for the Actions (which would not be available during manual execution of the Task). Replace batch files, scripts and macros with Tasks designed from scriptless modules. Run Task ahead of schedule, in addition to schedule, anytime when necessary. Create and launch automated ad-hoc solutions for particular problem situations. Design Tasks that do not depend on data input from system monitoring Triggers. 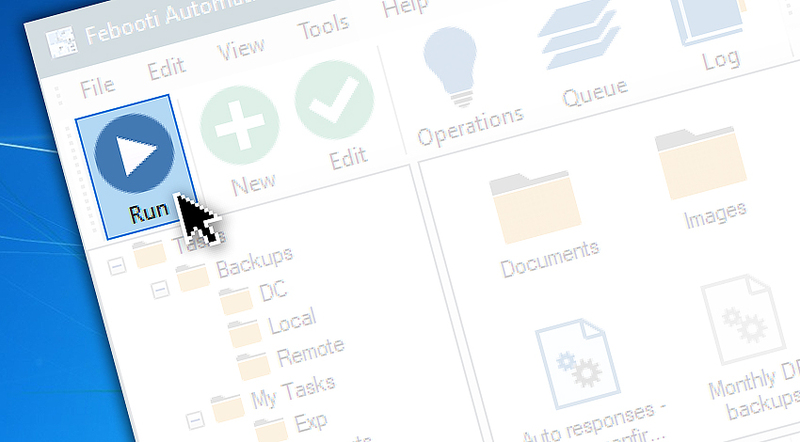 Besides options for creating batch file replacements for manual start on user demand, freeware Automation Workshop offers many ways to run scripts, macros, applications, commands in fully controlled automated manner · More on Automated run. Triggers · sets of Task activation conditions that continuously monitor the system. Actions · sets of operations that are automatically performed on Task execution. Start Program / Application · run specified programs with necessary parameters. Run DOS / Cmd command · execute Windows command prompt commands. Open document · open documents in available applications. Execute script · run JScript, VBScript, Powerhell script or batch file. In just one hour I managed to automate work which took me an hour daily! —Ethan D.